The mouse has left the bus? Plymouth 166, a regular on these pages, needs some help to get it back home in this view taken in September 1991. 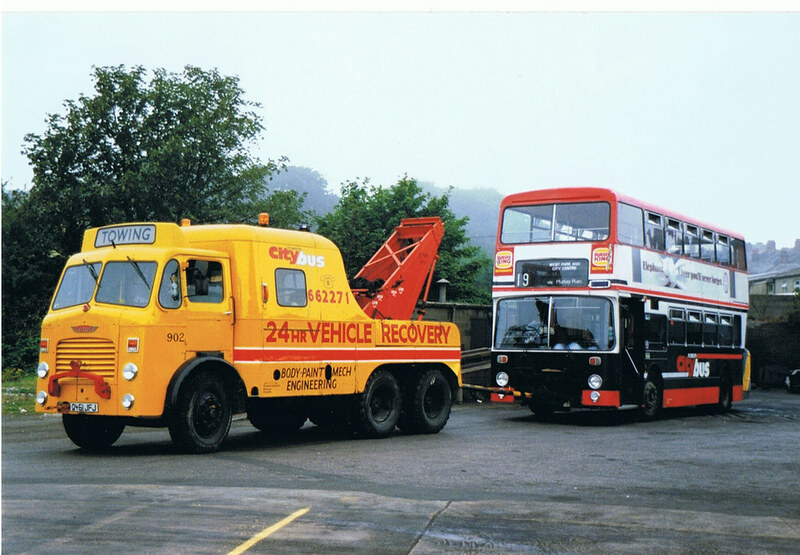 It's hard to miss the Citybus wrecker in this colourful shot. Another superb shot! The recovery truck certainly stands out well - an impressive beast. It was always nice to see this fine truck out and about.